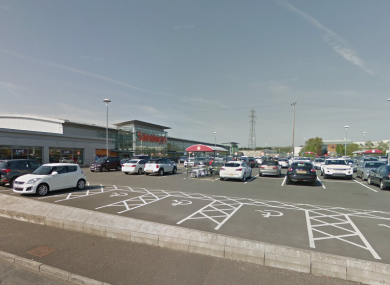 A 35-YEAR-OLD man who was shot in the car park of a Sainsbury’s supermarket in Bangor, Co Down this afternoon has since died from his injuries. The PSNI have launched a murder investigation and are appealing for information from witnesses or others who may have additional information. Ulster Unionist MLA Alan Chambers said he arrived at the scene about 10 minutes after the shooting happened, and was told four to six shots were fired. BBC NI’s Richard Morgan, who was at the scene, said that shoppers at one store were kept indoors as the supermarket was packed. Shop worker tells me medical staff were called to front doors and store was going to be evacuated before it was decided to keep people in. This shooting is totally wrong. I condemn it in the fullest terms. This act took place in broad daylight when members of the public were shopping. Such an action is nothing short of sheer madness. The people behind this act had no regard for life. He also urged anyone with information to come forward. Police are currently in attendance at an incident in the Balloo Link area of Bangor. It is believed that one man has sustained gunshot wounds. If someone would prefer to provide information without giving their details, they can contact the independent charity Crimestoppers and speak anonymously on 0800 555 111. Email “Man (35) dies after shooting at Co Down supermarket”. Feedback on “Man (35) dies after shooting at Co Down supermarket”.